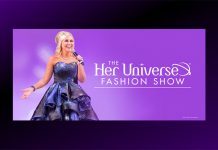 The Her Universe Fashion Show will be returning to SDCC next month and is certain to be an even bigger hit than it was in it’s debut! Check out the intro to the official press release below and then the rest of this exciting announcement right here. 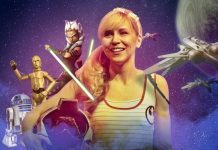 NEW YORK, NY- June 25th, 2015 – The Her Universe Fashion Show, hosted by actress and Her Universe Founder Ashley Eckstein, returns to San Diego Comic-Con 2015 with an all new group of aspiring designers. 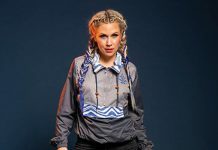 This year, 25 finalists will present their original “geek couture” designs in the runway show to compete for the opportunity to design a limited edition fandom collection with Her Universe for leading specialty retailer Hot Topic. The 2nd annual Her Universe Fashion Show will take place on Thursday, July 9th at 6pm at the Manchester Grand Hyatt Hotel in San Diego. More than 2,000 fans are expected to attend this exciting runway show celebrating fangirl fashion and pop culture.